In this article, you can have the chance to know the ways on how to prosper if this is your chosen business. Since one of the major challenges you will encounter in this kind of business is the cost of the machine which is said to be millions, the very first thing which you need to focus into is conducting a feasibility study that will aid you in finding out whether your prospect business is viable or not. This study must be well-researched in order for you to successfully sort out the different areas of the business. In the succeeding paragraphs, you will discover the factors that must be considered in the feasibility study. Your proposed location must be the number one factor that the study must mull over into. In choosing one, it should be near to the source of the materials to be used and to the target market because this will pave the way for you to lessen a large amount of expenses especially when it comes to transportation. The raw materials including lime stone, soda ash and sand are also very important in order for the business to have a continuous flow. So, you need to assure that its source is stable. Another thing which you need to put careful focus into is the existing industry status which includes an analysis of supply and demand. In addition to that, you also need to analyze and examine the following other factors that will affect your glass manufacturing business: financial report, general plant schedule, staff requirements, material and energy balance, cost estimate, machine requirements, waste treatment system, process flow, possible customers and plant layout. Since this kind of business needs lots of planning, it is impossible for you to do all the planning alone. So, you need the help of professionals who will help you. When you are done looking for them, the next step is to search for the potential investors who will finance your project. This is the part where you need to showcase your business plan so make sure that you will get the trust of the potential investors. After securing the money, the next thing you have to do is begin the plant construction having the facilities to be used for a glass manufacturing. For you to experience great deals in looking for the facilities and equipments, the trick lies in looking for auctions. Before you begin to focus on other things, make sure that the plans are strong so that you will have a guide in this kind of business. my business location is kanpur uttar pradesh india. i want to manufacture a glass and i have a capital about 25 lacks .is it possible to start a business. Hi, I am planning to open one small scale industry in my native place. I need your help for which route is good for business, it means less investment and good profit. Basically I am from India, state is Karnataka & district is Koppal. Pin code 583231. I am working in private company & fed up with job. I planned for Glass manufacturing Business, but as per article the machine cost will be more. My investment is 3 to 5 laksha. This glass manufacturing Business is possible in this amount. Kindly I need your full help. Thanks & Regards, Mahesh Kumar. I am from Nepal. We have big sand mine. We want to establish medium size plant glass manufacturing plant. We have sufficient budget. dear sir we r planning to start a industry of near 1 crore, which is the better and profitable industry to start please give me the suggestion. industry place is nittur. tumkur district. karnataka. Good day, i am located in Jamaica West Indies and would love to know how much it would cost to set up a glass (machine made) bottle plant, that would produce on average one million 750 bottles per year (with the capacity for increase of up to 5 fold over say 5 years). I would like to have an idea how much the physical plant along with equipment would cost along with raw material and energy cost for say the first year of operation. hello sir, planning to setup a manufacturing unit of float glass in jharkhand. please guide me regarding the TCI, future scope. Having a working capital near about 3 cr..
hi, i am santosh and i want to open small glass manufacturing industry in my district place(bidar). can i know the investment for this business. Hi, I want to establish small glass manufacturing unit in gujarat, so please tell me how can i start, what is the procedure & budget for starting this business. hello, i wish to setup a glass manufacturing company at Bhayander, Mumbai(Maharashtra), India. i would like to know all the details required for the business in the particular location mentioned above along with the costing, if possible. it would be a great help. waiting for the reply..
Good evening, I want to set up a glass bottles manufacturing. My budget is 75 lakhs. Please give me proper directions. I am from Meerut (U.P.). Waiting for your reply. Thank you. what are the raw material required and from where we can get raw material for disposable glass production. Hello! Need your help i went to open a small scale industry for glass manufacturing plant but I don't how much it will cost me and here in zambia their is no such a plant pliz help. my business location is sultanpur dist.UP. i want to start this business with capital of around 20-25 lacks. please tell me full idea about which machine should i take about technical staffs and also legal formalities which i hv to fulfill before starting my business. i would start the glass manufacturing business, so plz send me the manufacturing process, machinery details, row materials and cost. pls tell me how much it will cost me to establish a small glass plant in Borno state of Nigeria. i read msc in materials science and engineering University of Sheffield. Hi.. I would like to set up a glass manufacturing unit in North India. If anyone interested in a JV, kindly revert..
Hi.. i'm interested in starting the manufacturing of glass business in gujarat. can u send me details and project report of the business investment and the machinery in plant.. thanks & regards. i want to start glass manufacturing company pls give all information my investment is around 15 lakhs. Dear Sir/Madam, I'm from Kirloskarwadi, MH, INDIA. I'm planing to start Glass manufacturing factory. there is many question in my mind like how to made money for starting business. there is any financial support from Govt? Future of glass business.. so please help me. Thank You. I am in the process of setting up a bottle manufacturing plant in North Bengal. However, I have no idea of the basic requirements. is it power intensive? What could be the minimum fund requirement as a beginner. can go for partnership market prospective is good. i want to setup a glass manufacturing unit on a small scale for which i can investment Upto Rs. 2500000. My Location Will Be Ganderbal. The Area Of Ganderbal Is Very Rich source of Sand. So Please tell Me the Details. I want to start a glass(injection bottles Sizes from 50ml to 1000ml) bottle plant, so please tell me the project cost, machinery, availability. 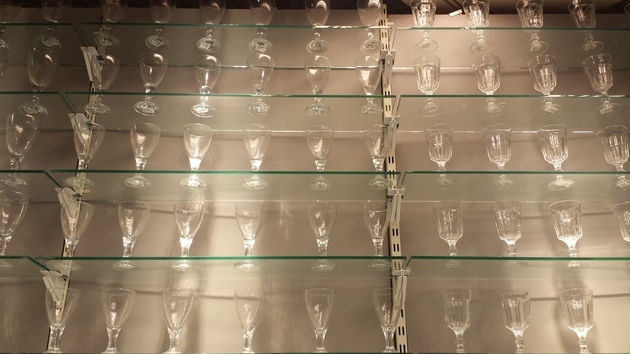 or flat glass manufacturing please advice me which one make good profit? thanjavur chennai. i have 65 lacks. please give detail information about both factory how much require and material where i can get. I want established a small glass factory please details of project cost, and total details of plant. I am at ranchi jharkhand. Please.. I want to start DISPOSABLE PLASTIC CUPS, PLATES AND GLASSES industry in BANDA (U.P.) kindly help me as how much initial investment is needed and from where I can get the raw materials at a cheap price. the plant should have a recycling unit too. my business is located in Windhoek Namibia i made my research and i have found out that we are having all the required raw materials for making glass i want to make a manufacturing plant for producing flat glasses in Namibia the market for it is available as we are developing country and this will be in demand because of high demand in housing and other development where the need of glasses is required. now i need help to complete my business plan that will attract investors to invest in this plant and to make my dream come true. i also want to know the cost of the plant and the equipment i will need. your assistance will be highly recommended. my business location is bhandara maharashtra. i want to start a glass manufacturing business on small scale how much will it cost? can i start it having the capital of 25 lakh? Plastic disposable glass industry machinery cost & profitability capacity of project is 1.5 tonnes daily. for a small float glass factory with daily output 50tons , the cost including whole glass equipment for the production line will approx be US$230million. Hi, I want to do some business, either establish a manufacturing unit or sole distributor of Nepal. If u have some grt idea please mail me on goyal.divya61@gmail.com. Sir, I want to start new business of manufacturing glass. My location is amravati Maharashtra near Nagpur. I can invest 1 crore including land cost. Can I start business with this. Can you help me. Can you send me details of project cost ,area requires, machinery cost, flow amount etc. Shalom. Desire having Glass Sheets Manufacturing Plant in Ondo State South West Nigeria. Urgently in need of Foreign Business Partners/Investors in the area of Equipment/Machinery sourcing. The Market Potential in Nigeria is great. Awaiting swift reply. Charles Jacobs. Hi All, we are a glass industry consultantcy , if you want to get any idea for manufacturing of glass , please leave your email add. or Skype account. Dear Sir, Want to start small scale glass industry in hyderabad, telangana pl suggest. I am interested in the disposable glass manufacturing. Tell me about it machinery cost and other expenditure. How much profit margin and where we will sell. I start new business in pratapgarh u.p. I start new business disposal glass plate .city pratapgarh u.p india.plz tell how star business. CHARLES JACOBS , maybe we can help, plz send me email or leave your contact so that we can discuss cooperation. We want to establish a medium glass manufacturing plant here in Herat, Afghanistan. I am engineering student currently pursing my degree from pune university. I am interested in manufacturing of the glass materials for house hold use.. I want to start business in my home town. plz give me details regarding cost, prerequisite etc. SIR I AM KUNAL I LIVE IN BHOPAL (M.P.)INDIA. I WANT TO KNOW ABOUT WHOLE FINANCIAL BUDGET THAT INCLUDES FROM RAW MATERIAL OF MANUFACTURING GLASS ALSO MACHINERY COST AND WHERE DOES IT COME FROM AND TAX ON MANUFACTURING OF GLASS. Hi, i am Ganesh working in private sector industry. i want to start small scale business in glass industry. how much minimum amount that i can start the glass business. plz shear the man, material, m/c, set up, layout as minimum as possible, waiting for your replay. I have a dream of opening a building glass manufacturing in Matsapha, Swaziland. I have seen a lot of merchandiser of the product importing it from South Africa. I want to manufacture and sell within the country and outside. I need the start up planning assistance including the feasibility study, business plane of such a product, skill sets that are needed and types of machinery required as well as break even point of such a business in a small scale. Please help. I want to start bottle glass manuf. business in Gujarat, kindly guide the cost of unit as well as what are the best opportunity for easy to contact to market and also guide me if costing of projects are to high then kindly give me a joint venture with Indian company or foreign company. Hey i want to set up toughned glass manufacturing unit .So i want to know the cost of setting up the plant and what is the process of manufacturing toughned glass . I would also like to know the plant and machinery required for the manufacturing unit. Hey I want to start up a disposable plastic plates and cups manufacturing business here in Botswana. Kindly guide, I need the start up planning assistance including the feasibility study, skill sets that are needed, business plan of such a product. Types of machinery required as well as break even point of such a business in a small scale. I want to start business of plastic glass manufacturing. Plz tell me how much capital required to start this business and what are the basic requirements. Dear sir/Madam, I am from Botswana and would like to start a glass manufacturing business. Please advise me on raw materials, machinery and estimated budget required in order to start the above mentioned business. I would also like to manufacture toughned glass. Awaiting your soonest response. Best Regards. Dear Sir, I am interested to start Analytical Glassware manufacturing unit in Gujarat. I want to know what is the capital investment and other expenses for startup. I need to also know what will be procedure to start whole business.